While insects, animals, and all types of creepy crawlers can be fun to look at and explore in the outdoors, no one wants them invading their homes! Serving all of Minneapolis, MN, Eco Tech proudly provides pest prevention and pest and animal control to both residential and commercial areas! When unwanted guests come into your home, our job is to get THEM out, NOT you! Homeowners often try do-it-yourself methods of ridding unwanted pests out of their home and too many times they buy a product that does not work and can harm those living in that space. At Eco Tech, we prioritize the safety of our customers first. We want to make sure that the health of all people and pets living in the home are not compromised with harmful pesticides. Using only the most eco-friendly products on the market, we purposefully avoid synthetic poisons and strive for healthier alternatives that are very effective in getting the job done! Whether the problem occurs in or around your home, you can count on us to eliminate the issue without polluting our ecosystems! Here at Eco Tech, we recognize that every pest situation is different. Therefore, our treatment plans and products reflect various situations that may occur in your home. We customize every customer’s pest control plan so that we can guarantee complete satisfaction to anyone using our service. One of the best ways to protect your home against unwanted pests is to prevent it! Call us today to come out and “pest proof” your home using our 17 point inspection checklist. We do a thorough job in checking for spaces that need to be repaired so that we can prevent pests from coming back or ever entering in the first place! So stop waiting for your pests to get out of control! 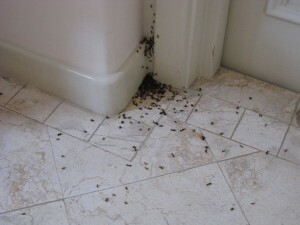 If your home has unwanted creepy crawlers that need to be removed, don’t wait another minute! If you live in the Minneapolis, MN area, call Eco Tech today at 763-785-1414! You will not be disappointed!